WhatsApp the most popular instant messaging app has recently released a couple of feature including PnP, Swipe to reply and Sticker. Other popular messaging apps like Hike and Wechat had already these from the very beginning. Whatsapp sticker allow user to reply and greet the chat via sending stickers. Previously there was only two feature , text and emoji. But now the Latest Whatsapp update(2.8.347) allows user to send sticker from free pre-loaded collections. In addition you can download plenty of Whatsapp Sticker from PlayStore or AppStore. But, You will be surprised to know that apart of pre-loaded and pre-designed stickers you can send any custom photo as your WhatsApp sticker while chatting. 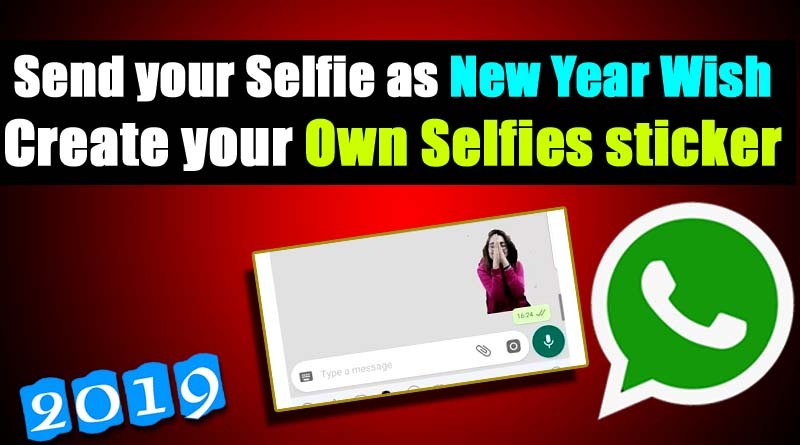 There are plenty of apps available in Playstore which enable user to send any photo as Whatsapp Sticker. Sadly Whatsapp has not introduced any addon or option to use your photo as Whatsap Sticker. But, you need to use some third party app in order to add this feature to Whatsapp. Using these app you will be able to use almost any photo as Whatsapp Sticker. For this you gotta need some short of app. There are two step to be followed before you add the images to Whatsapp stickers. After you have successfully installed the Background Eraser. Click a photo or open an existing image by browsing the gallery. Erase the Background of the selected image and save it as .png (As Whatsapp Sticker supports on .png files). You are required at least three images to save as .png because Whatsapp sticker maker required at least three Image to be compiled. Once you have successfully saved three or more .png files without background, it’s time to convert them as Whatsapp sticker. The images, however are converted as .png but wont reflect in Whatsapp sticker bar. In order to add your photos to Whatsapp sticker list you need to convert them as Whatsapp Sticker. Follow the steps below to convert all .png file as Whatsapp sticker. Download Personal Stickers for WhatsApp from Playstore and open the app. Step 4. Once you See al your Images here , Simply click on “add” Button. Now all your images will be added to Whatsapp Sticker section and are ready to use. You can use your personal sticker as the default sticker and use them as per your requirements.